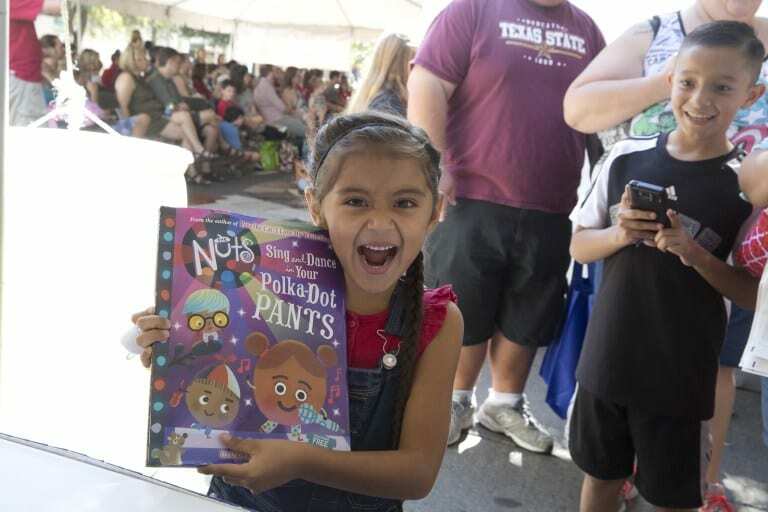 The Texas Book Festival will take place on Saturday, Oct. 27 and Sunday, Oct. 28 with tons of free, family fun for all ages! 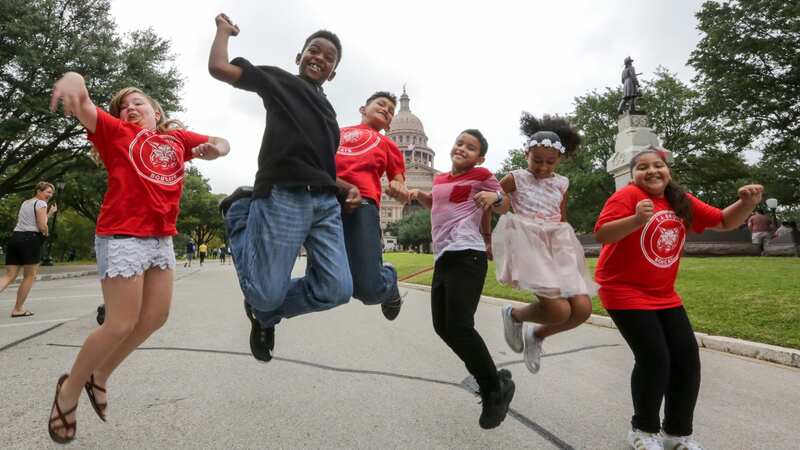 At this annual event, authors and book lovers take over the grounds of the Texas State Capitol to share the joy of reading. These two days are packed with hands-on kids activities, entertainment, food, book signings, story times, author sessions and a whole lot more. Plus, attending the fest is FREE! Where to Start? The event is so big, in fact, that it can be a little intimidating to navigate, but take note that Congress Avenue will be the designated thoroughfare of kids events and entertainment for those interested in picture books, middle grade books, and YA. October 27 also happens to be deemed Super Saturday because there are three very awesome family events happening downtown on this same day! Texas Book Festival, the Viva La Vida Festival AND the Austin Film Festival will be collaborating on a variety of fun cross-over events, including a special free screening of Coco at the Paramount Theatre at 4 p.m. Click here for all of the details about Super Saturday (including free transportation options). –> Kid’s Passport = Free Ice Cream! Be sure to pick up a Kids Passport in the Children’s Activity Tent. Your passport will guide you through the weekend’s activities, and once you’ve completed 5 activities, you can turn your passport back in to get a coupon for a free tiny scoop of Amy’s Ice Creams! –> Read Me a Story Tent: Youngest readers can join some award-winning authors and illustrators sharing picture book storytimes every half hour. Click here for the full lineup. 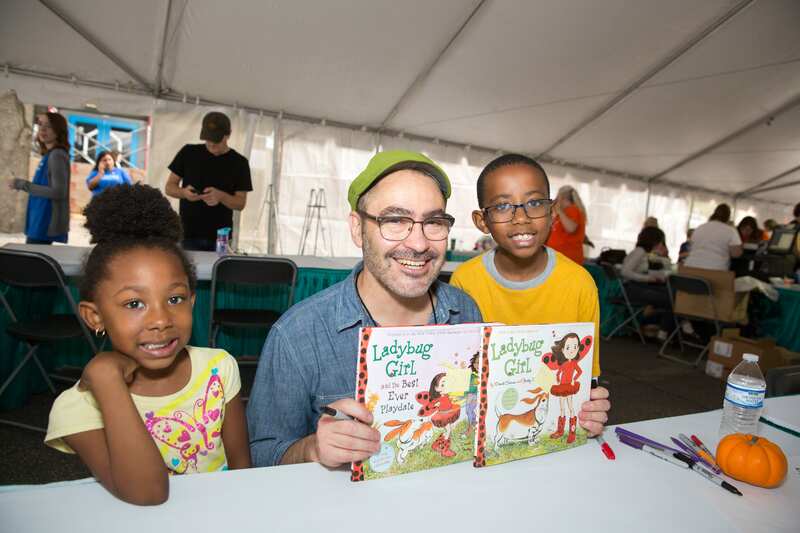 –> Latinx Lit Tent: Plenty of bilingual sessions are planned for young readers who speak Spanish and English including a celebration of Pura Belpré and Tomás Rivera Award winners, storytimes, and more. Click here for the schedule. –> Kid’s Authors in the Kirkus Reviews Tent: This year, you’ll notice a big, brand new tent right in the center of the Festival (on 11th Street between Brazos & Congress), in partnership with Kirkus Reviews. Pop in for sessions with Matt de la Peña and Christian Robinson, David Shannon, Dan Santat and Minh Lê, Nathan Hale, The Magic Tree House, and a talk about how to write and draw graphic novels with Kazu Kibuishi and Raul Gonzalez! Check the full schedule. 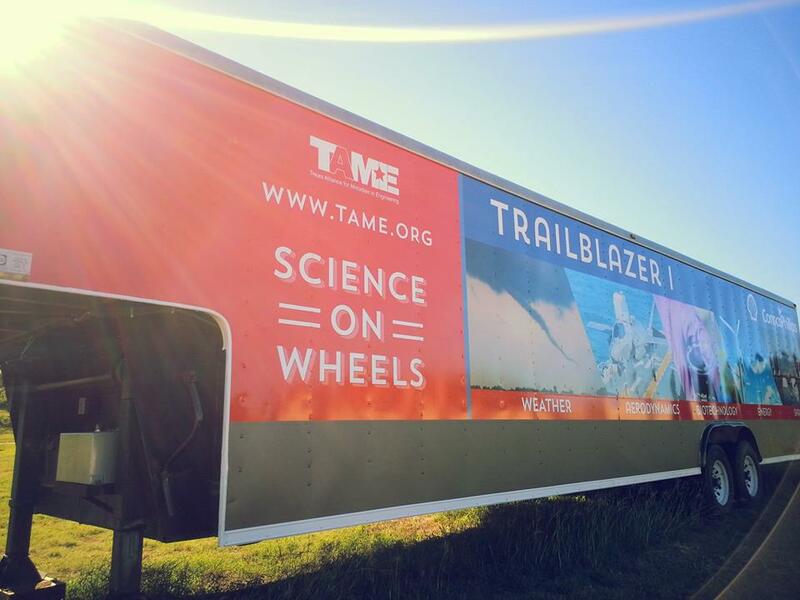 –> Mobile Science Museum: The Texas Alliance for Minorities in Engineering is bringing their Trailblazer onsite — a hands-on mobile science museum that travels all across Texas, encouraging students to explore and question the world they live in. 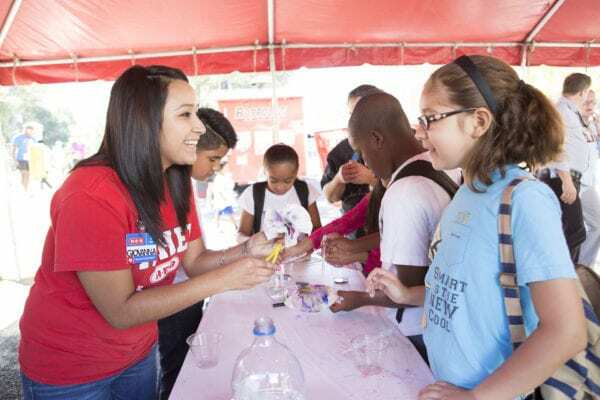 Inside the trailer, volunteers share their enthusiasm about STEM by leading children through hands-on exhibits designed for kids in grades 3-8. 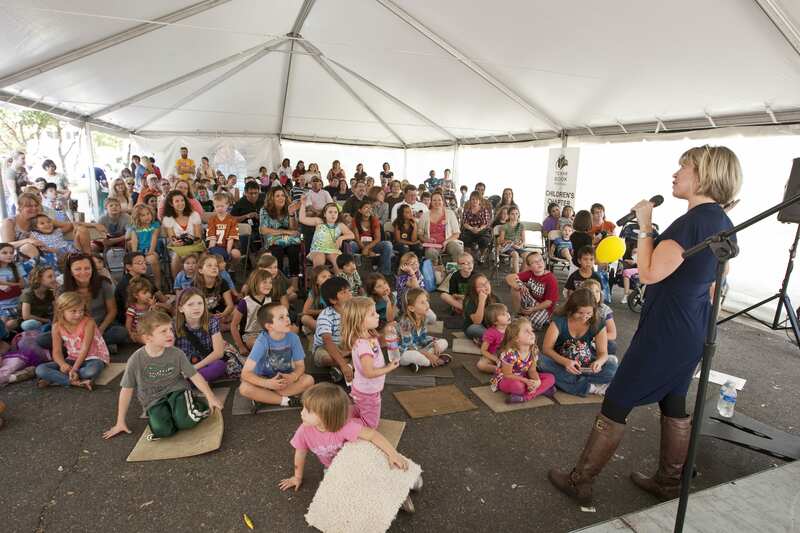 –> H-E-B Reading Retreat: This tent, located at 9th and Congress, offers young readers a quieter place to be in the middle of all the Festival hustle and bustle. So, whether you need a break from the action or you just can’t wait to get started reading of your new Festival books, head over to the H-E-B Kid’s Reading Retreat and take a seat! 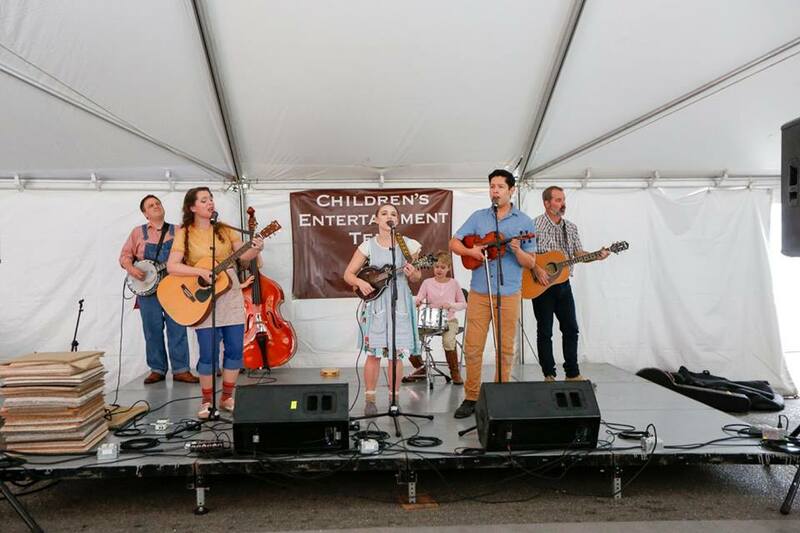 –> Activity & Entertainment Tents: As usual, you can plan on a great line-up of entertainment as well as plenty of hands-on activities for kids both days of the Festival. Watch Magician Kent Cummings or a Polynesian Dance performance! Make LED bracelets or Thanksgiving placemats! Check out the full schedule of entertainment, and the list of happenings in the Activity Tent. 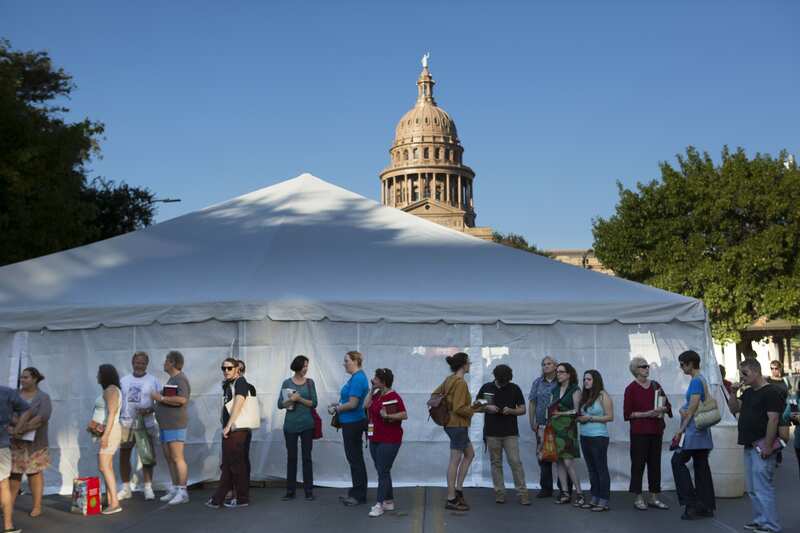 –> So Much More: This is just a small sample of what awaits at Texas Book Fest! Be sure to check out the official website for the full schedule of events as well as information about getting to the festival, parking, maps, food vendors and more. You can also follow the Book Fest on Facebook and Twitter for news and updates.